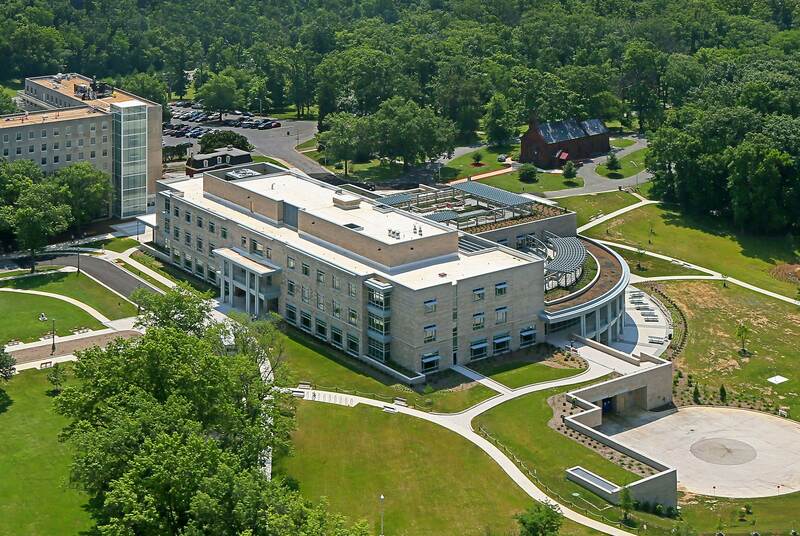 The New Commons and Health Care Center for the Armed Forces Retirement Home-Washington (AFRH) is an essential step in the Home’s long-range plan to modernize and fulfill their mission to provide affordable state-of-the-art care to our nation’s retired service men and women. 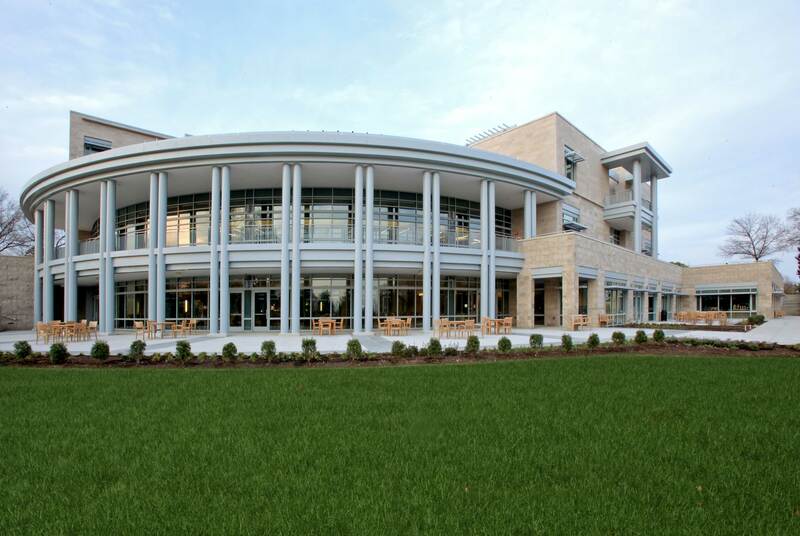 Sited to enjoy expansive views overlooking the campus landscape and the Washington DC skyline beyond, the new building was programmed to provide a skilled nursing facility with single bedroom units for 36 long term care residents and 24 memory support residents. The key to the design is the “small house” concept where residential units are clustered in groups of 12 around common living and dining rooms, replacing the institutional style double-loaded corridor layout. 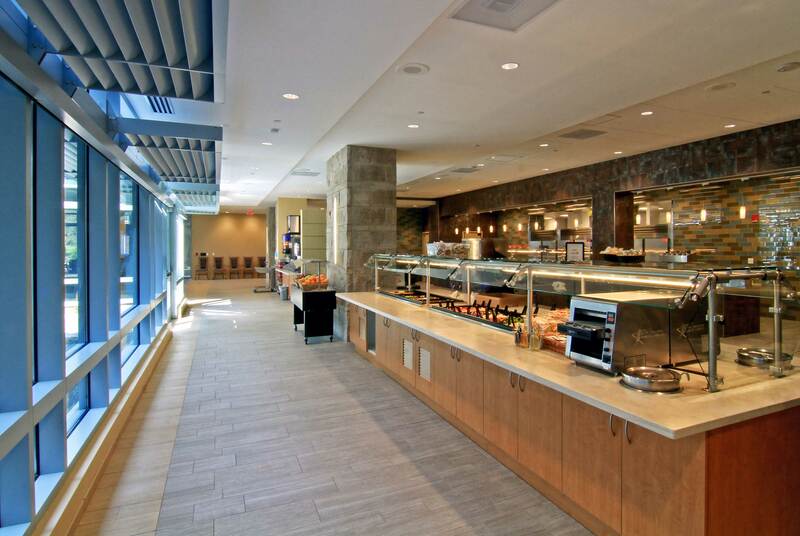 Amenity spaces include a central kitchen and dining hall where most of the residents dine three times a day. 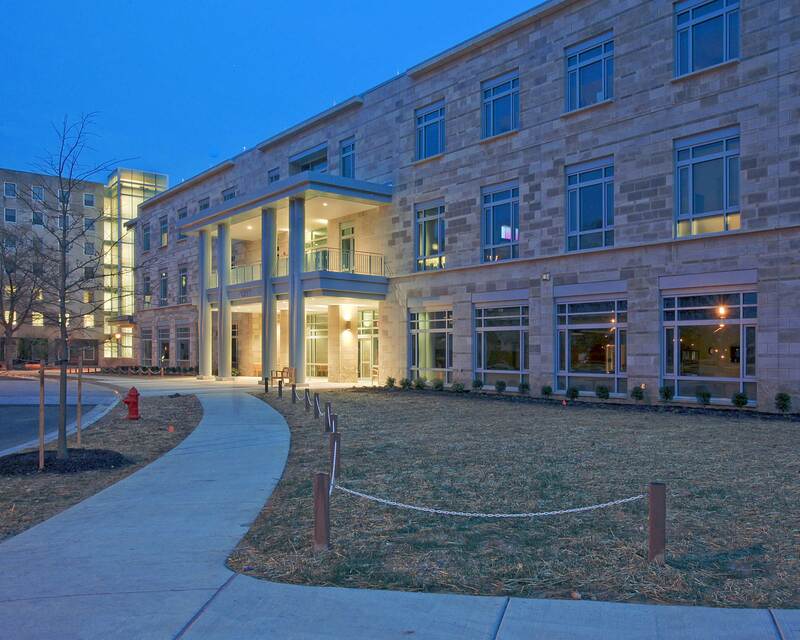 A new wellness center provides residents with facilities for their primary medical needs ranging from dental to psychological to physiological. 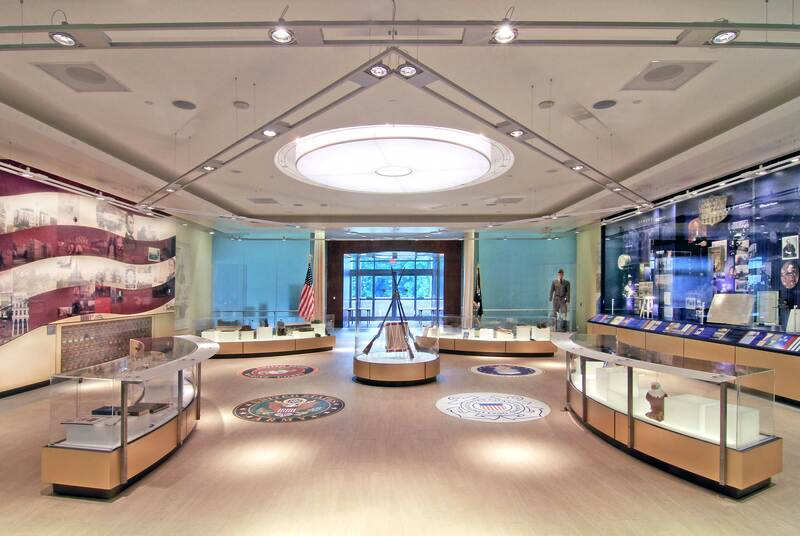 The program and design create a center of activity for the entire community of Armed Forces retirement residents. It serves as a place to convene for socializing, physical fitness, educational pursuits, musical interests, business transactions and many other recreational activities. Upgraded workspaces benefit the AFRH staff and allow them to remain energetic and positive. 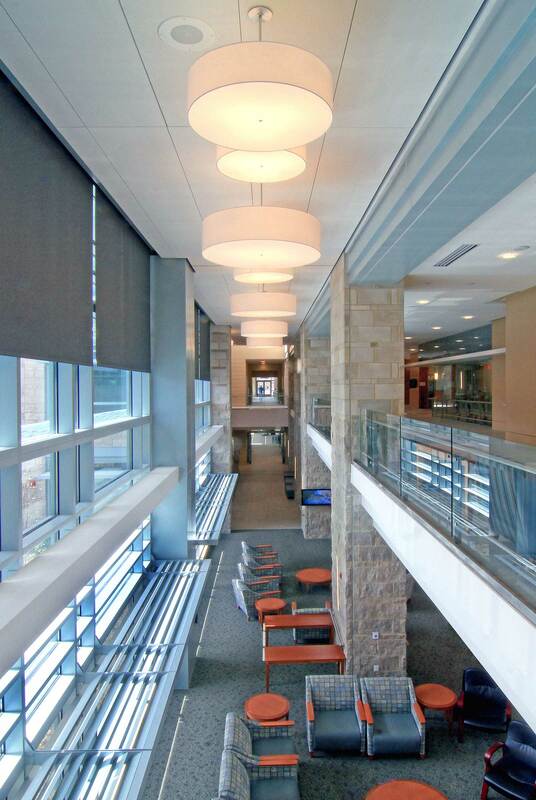 The building achieved LEED Platinum Certification. 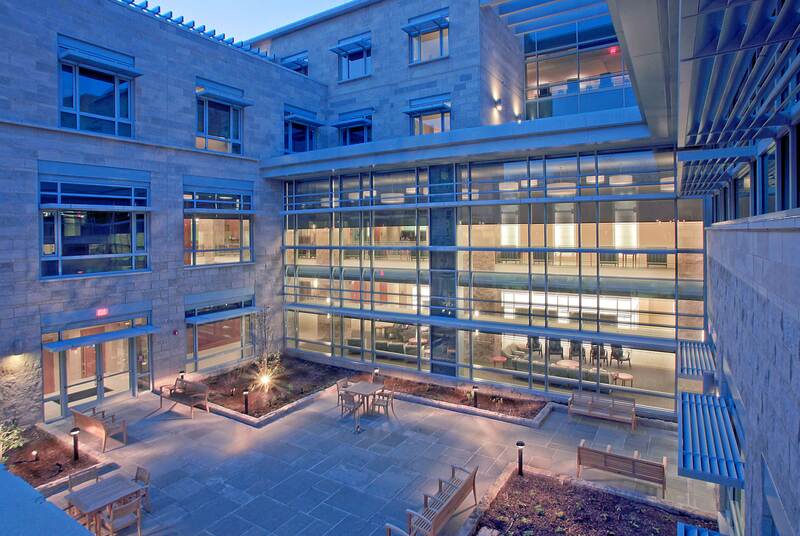 As design architect selected by the GSA Design Excellence Program, DiMella Shaffer’s design was excellently executed by the Cooper Carry / Hensel Phelps design-build team while CR Goodman implemented the interior design, furniture and finishes specification.